“Challenge Your Limits” is more than just a catchy tagline for RELiON Battery, a global leader in lithium battery technology. It appears to be an absolute mission. Just months after launching its all-new LT Series – a series of batteries that are optimal for cold-weather performance – RELiON announced today the next generation of lithium batteries, the Insight Series. This new addition to the RELiON family of products is the first scalable LiFePO4 drop-in replacement battery, that comes in industry-standard sizes, with no extra hardware needed when connected in parallel. InSight Series batteries are designed to replace lead-acid batteries in any deep cycle application, including golf carts, marine, RVs, renewable energy systems, floor machines, scissor lifts and much more. 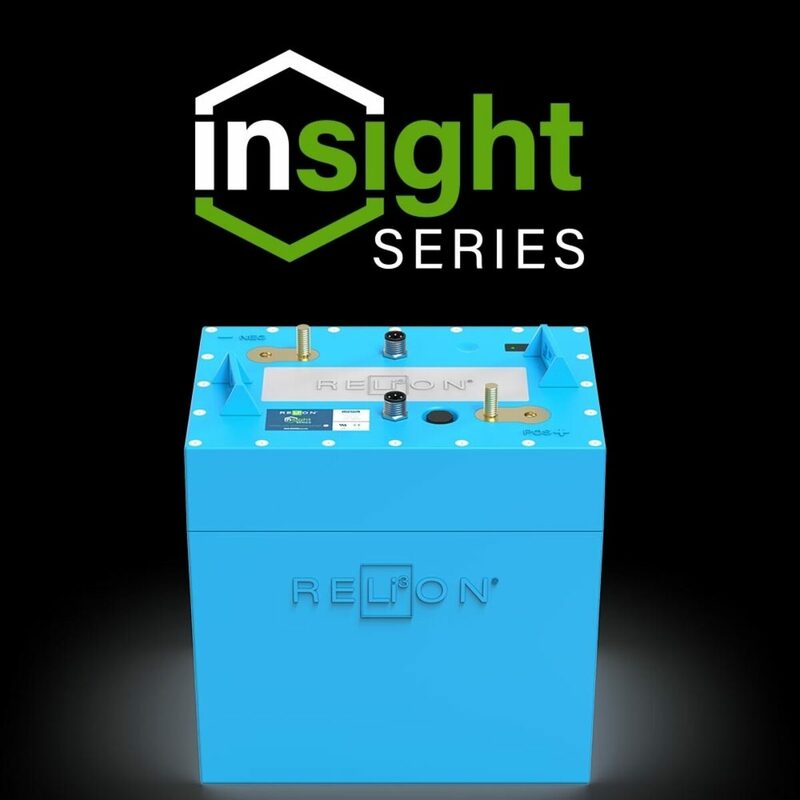 “The SuperSmart BMS included with the Insight Series touts everything from accurate balancing using the Bullseye Balancing technology, allowing you to scale up to the capacity you need without compromise, to charge control which allows you to use almost any charger with our batteries,” began Christine Feodorov, RELiON’s VP Product Development and Strategy. “And end users are not left in the dark with the LED indicator lights that display the battery’s status at a glance, letting you know if your battery needs a recharge”. The InSight Series batteries come in GC2 size 12-Volt, 24-Volt, 36-Volt, and 48-Volt configurations – each equipped with the inherently safe LiFePO4 chemistry. RELiON will launch additional InSight Series standard battery drop-in sizes later this year. RELiON will showcase the InSight Series at the PGA Merchandise Show in Orlando, FL January 23 - 25 in booth #3020. The company will also host an official launch party Jan. 23 from 3:00 – 5:00 pm in room 305B at the convention center. During this time the new Insight Series will be formally displayed publicly for the first time. Attendees and exhibitors at the show are encouraged to attend. To learn more about the innovative InSight Series, visit relionbattery.com/insight.